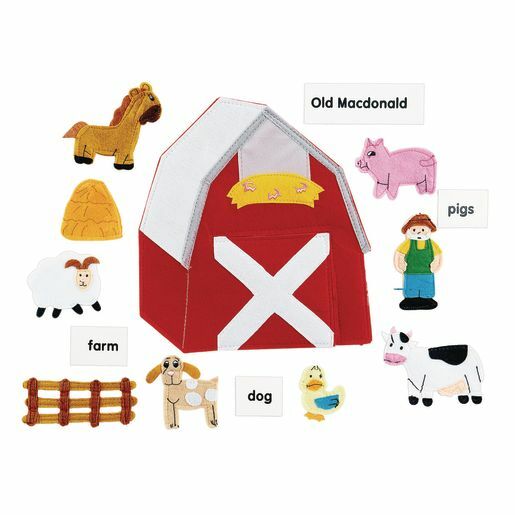 Sing and play along as Old MacDonald fills his big red barn with all kinds of fun animals. This set includes 10 felt story pieces, word card sheets, an activity guide, and plenty of hook dots. Books and hook compatible storyboards are sold separately. LAN (P) With prompting and support, retell familiar stories. LAN (P) With prompting and support, identify characters, settings and major events in a story.